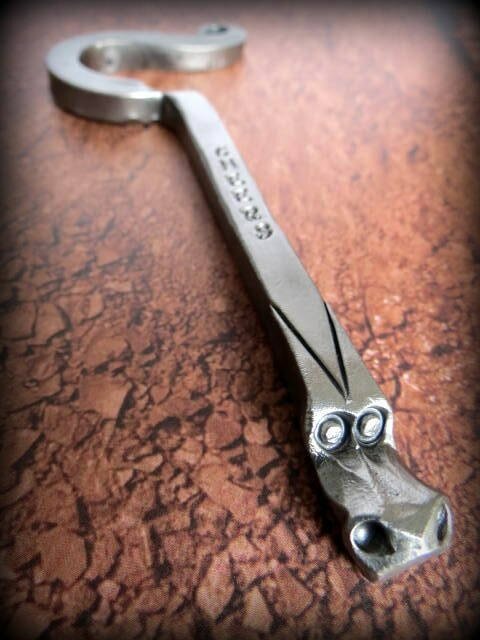 Price mentionned is for one dragon bottle opener. 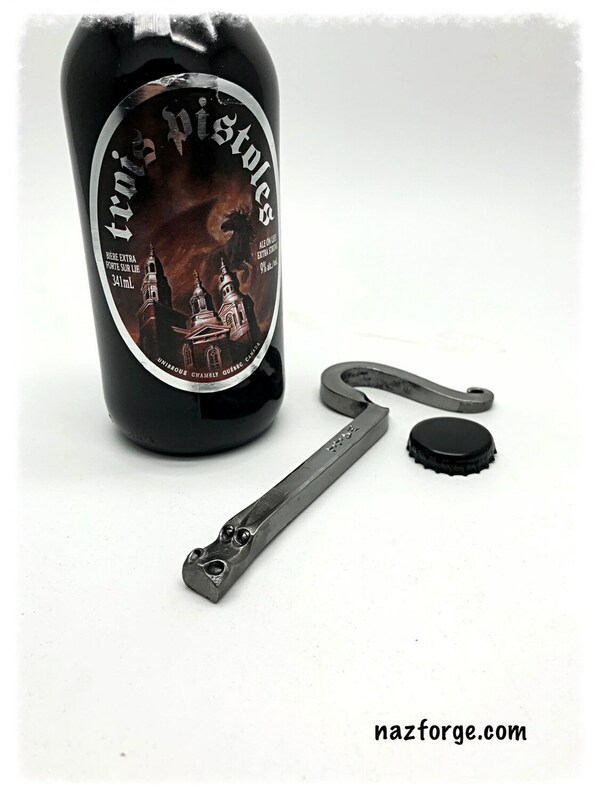 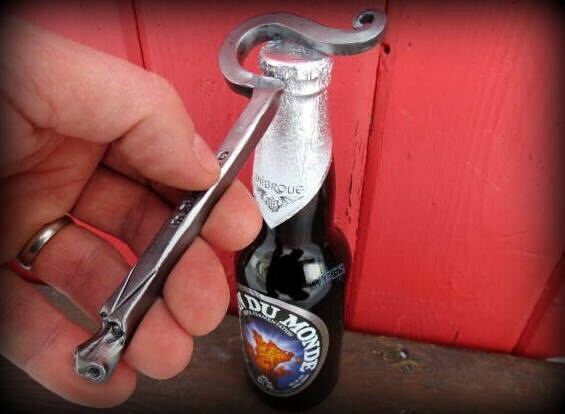 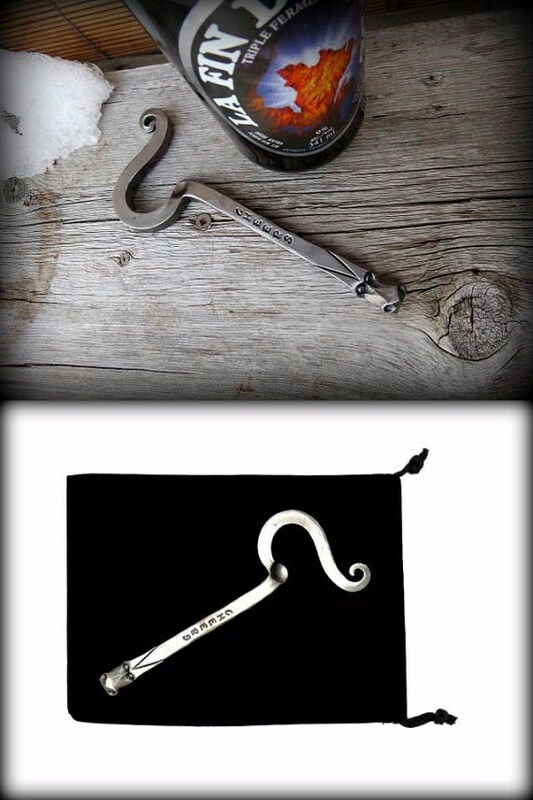 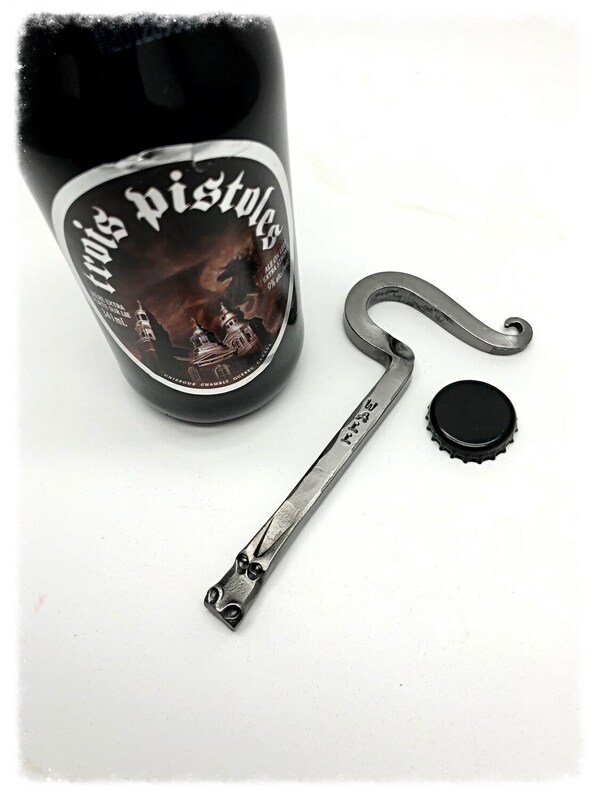 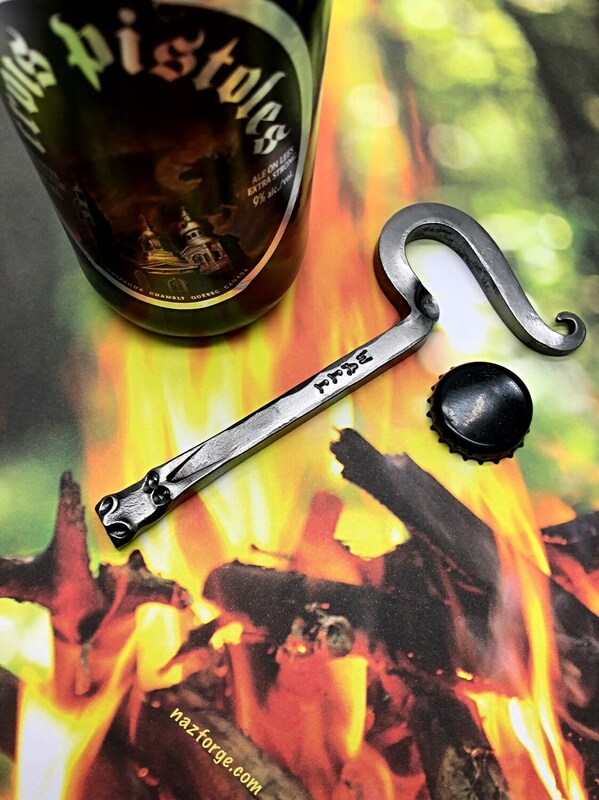 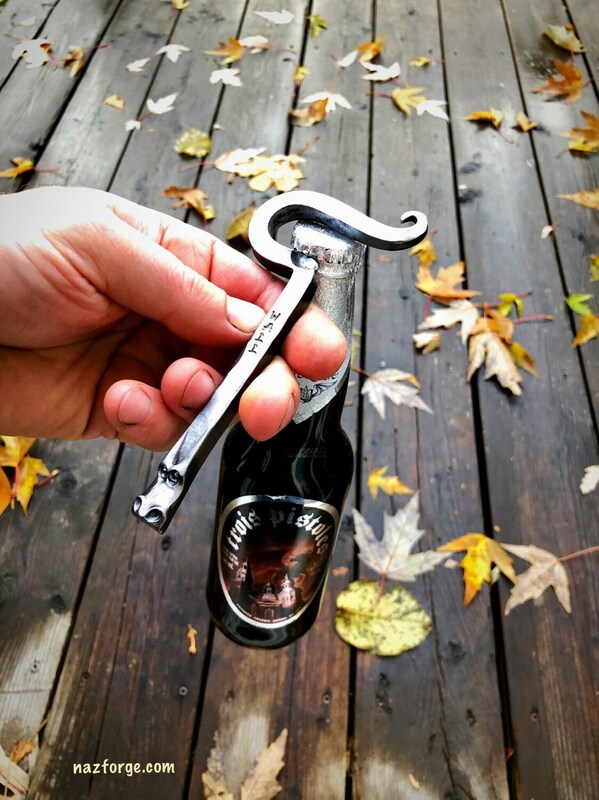 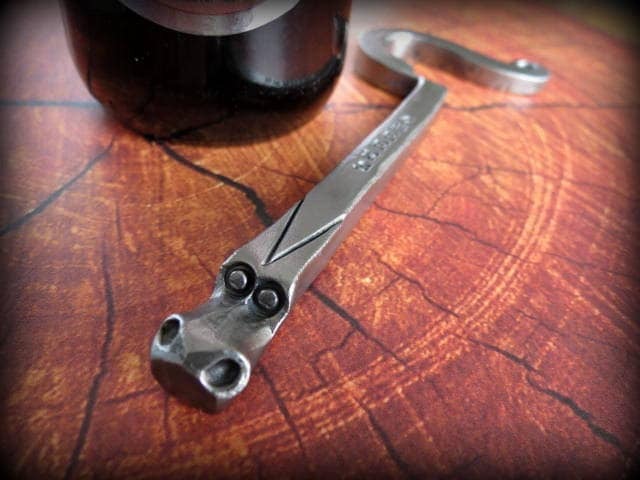 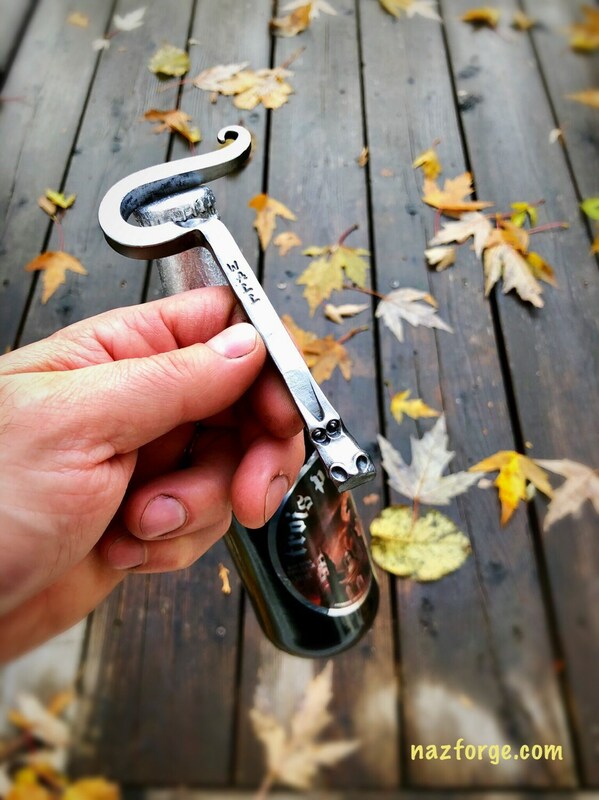 Hand forged from 5/16" square stock iron, one end of the bottle opener is hand forged into a dragon head. 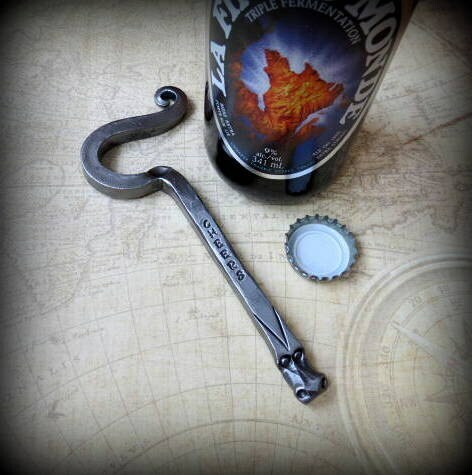 Total lenght of the dragon shaped bottle opener is approximately 6".